Street food and snacks next for campus food service? One of the biggest problems in food service is keeping up with the changing tastes of the clientele. Take higher education vending and catering. Just when you finally thought you’ve got a handle on your millennial students’ eating habits (did you really? ), you’ve got Generation Z added to the mix. The newcomers are less likely to care about the nutritional content of their food than their millennial “elders.” While millennials chase new food experiences, they also seek out local, organic, natural and sustainable food. 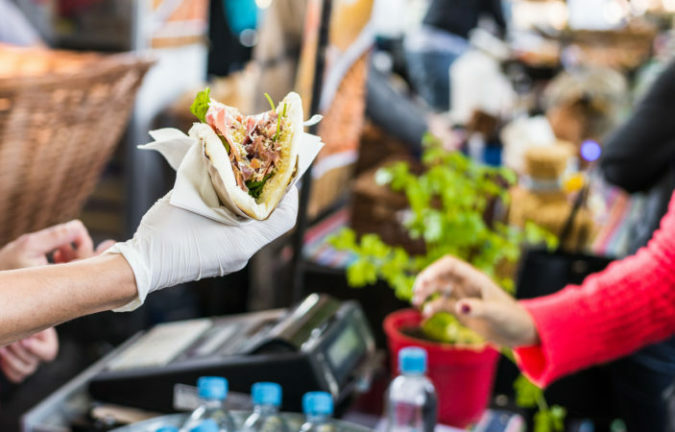 Generation Z wants street food and snacks on the menu, and enjoys taking on new and exotic tastes. However, as you’re racing to put new and exciting on the serving line, an even bigger change is in the works. This is more than just a generational shift—it is a population shift that will redefine American tastes in culture, as well as food. Unbranded generations are lining up to bring, among other things, increased racial diversity. That also will translate to diversity in food preferences. Administrators already are finding ways to accommodate those new tastes in the food options. It’s not just demographic changes—more kids are growing up watching cooking shows featuring many cultures, and are introduced to new restaurants with new offerings at a young age. So while future food services are looking at a student population that’s increasingly diverse, keep in mind how demographics are changing. Asian and multiracial individuals are the fastest growing segment of the population at three percent according to the U.S. Census Bureau. Hispanics grew by two percent and African-American by 1.7 percent. For advice and help on keeping up with these changes, now and in the future, contact Vanguard Resources.